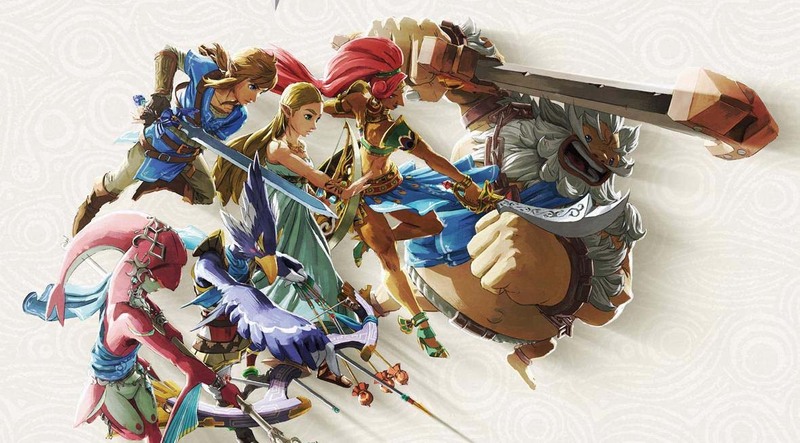 Breath of the Wild — Creating a Champion was recently brought to the US by Dark Horse Books, giving American fans the chance to learn more about the making of the latest Zelda adventure. Featuring hundreds of pages exclusive art and developer insights, Creating a Champion is perhaps the ultimate behind-the-scenes guide to Breath of the Wild. While the book has been available in Japan, titled Master Works, for almost a year already, this new release is the first time many of its developer interviews have been widely available in English, including an extremely interesting discussion by Eiji Aonuma about Breath of the Wild‘s placement in the official timeline. Earlier this year, Breath of the Wild was added to the timeline section of the official Japanese Zelda website. The game was placed at the end of all three of the series’ branching timelines, making it clear that Nintendo was treating the game’s placement in the overall timeline with a high degree of ambiguity. With Aonuma’s explanation now widely available in English, it’s nice to better understand the reasoning behind that ambiguity. Breath of the Wild — Creating a Champion is now available from Dark Horse Books. Do you buy Aonuma’s reasoning behind Breath of the Wild‘s timeline placement? Where in the timeline does Breath of the Wild land for you? Share your thoughts in the comments below!